Samer has an internal design office aimed to identify, design, execute each of our realizations in compliance with the various regulations and in compliance with the ISO 9001 quality system. The same applies if you carry out partial or total replacements of existing installations. In any case, Samer offers a “turnkey” service for design, installation or replacement and maintenance. 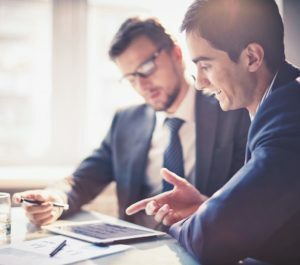 Our customers can rely on services specially designed for the specific needs of all types of users, from individuals to companies, from condominiums to public bodies, for the elderly and the disabled. 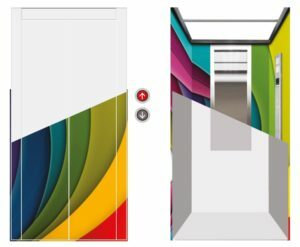 Samer consultants are available to explain all the details, helping you to choose the ideal type of elevator and service for you. Thanks to our vast experience in the industry, we can provide our customers with all the technical and administrative details of which they need and with constant updating about the laws, the quality and safety of the elevator, the legal adjustments and the prescriptions recorded during the biennial periodic visits by the entity charged by the owner. In addition, to meet the needs of the customer, Samer offers the possibility to pay the works in easy monthly installments. Samer is convinced that its customers deserve more than a standard solution. For this reason, Samer makes available all its expertise and experience to offer customized solutions according to the customers needs. 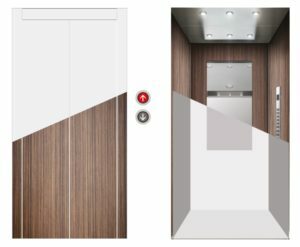 Each project is studied in detail and shaped with care and attention as needed, therefore Samer can customize all the furnishings and the commands to make your elevator really perfect. Whatever your requirements, Samer provides a qualified and personalized service of design by offering various types of coatings (basic, luxury, superior and replay) with washable fireproof material, highly resistant to water, deterioration, dirt and abrasion that can be removed without leaving any trace. 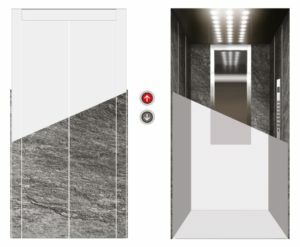 The finishes are available from the classic style (wooden or marble type) to the modern one (photo effects or geometric texture). We give space to your ideas!